On northbound VA 189. 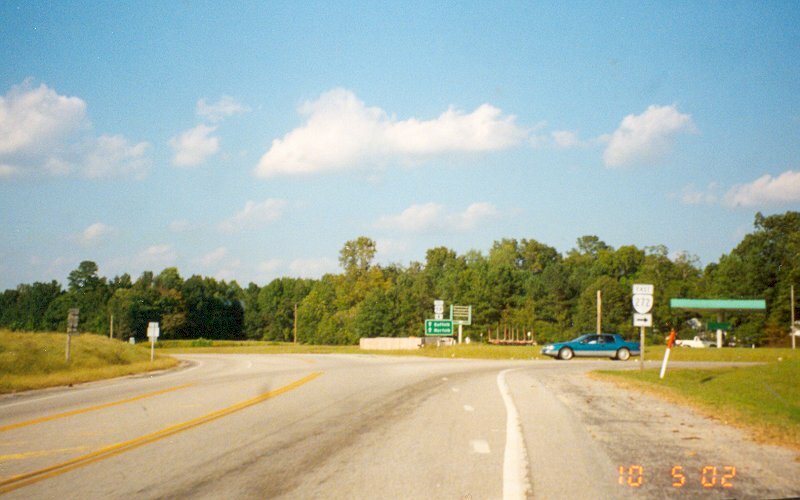 VA 272 is a shortcut between US 258 to/from the south and US 58 to/from the east. Photo by Adam Froehlig, taken October 5, 2002. On westbound US 58. 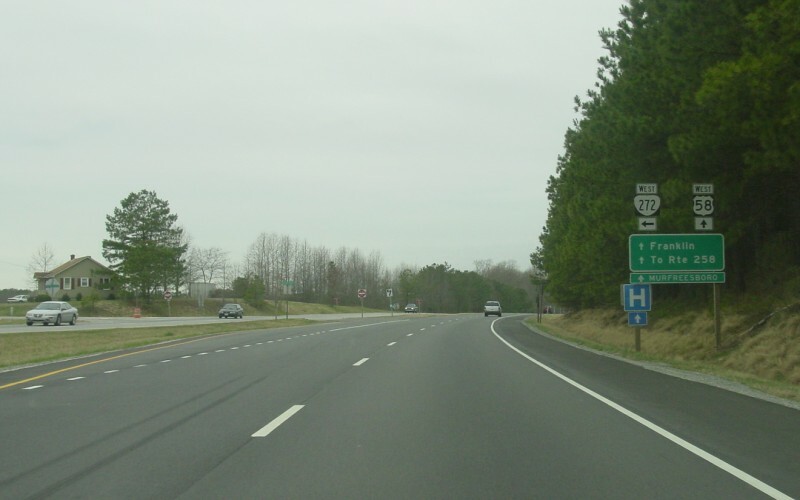 VA 272 is a former routing of VA 189, and some ghost grades are still visible at each terminus. Photo by Adam Froehlig, taken March 15, 2003.